His team-mate might have stolen the headlines by taking the lap record at Cartagena, but Leon Haslam fought back in style as the JG Speedfit Kawasaki team moved to Guadix for two days earlier this week. The 2016 MCE British Superbike championship runner-up clocked his fastest ever lap of the circuit, breaking a lap record he had previously set on a Honda WSB-spec machine. 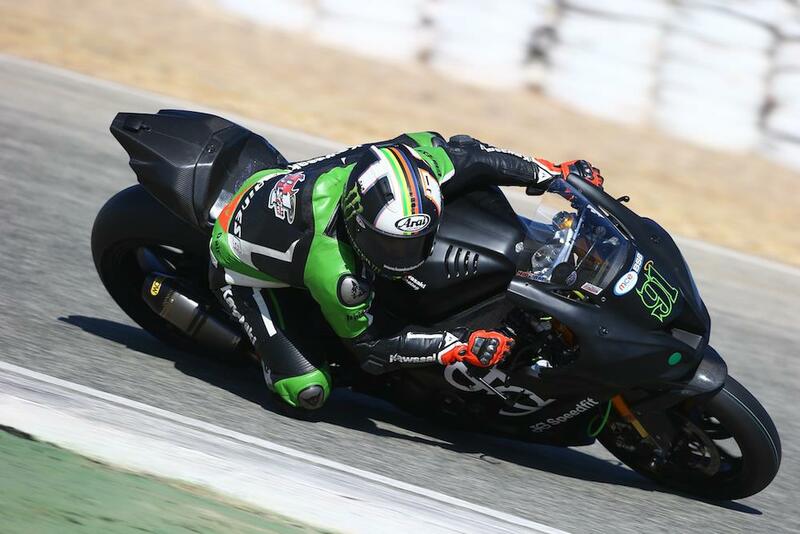 The two days on track at Guadix concluded a run of eight days Spanish testing for the JG Speedfit Kawasaki team, who got out at Jerez back in January before heading to Cartagena last week. After the six days on track, Haslam says he doesn’t think he could be in a better position heading into the opening round at Donington Park in two weeks’ time. “Testing has been really kind to us; we’ve got through everything we needed to over the last six days and managed to set a new circuit record at Guadix which is always nice,” Haslam said. “I didn’t manage to get one hot lap in at Cartagena, but my race pace was good, especially when looking at what other people were doing over longer runs. Team manager Jack Valentine added: “I don’t normally get excited about lap times during testing but breaking two lap records back to back is a fantastic achievement. “Luke got off to a flying start in Cartagena and worked really hard on race simulations to improve tyre life with various settings and components. Leon on the other hand wasn’t really looking for quick single laps, focusing instead on working through different settings with his crew again to increase tyre life but also throttle connections with the electronics. BSB: JG Speedfit Kawasaki set to quit BSB?